What if the most innocent tale was hiding the most terrifying love story? 1832. Blonde, a 17-year-old orphan, has always lived in a convent, surrounded by mystery. Why do the Sisters ask her to cover her golden hair and to hide her disturbing beauty behind dark glasses? Who are her parents, and what happened to them? What strange, unnamed disease makes her faint so frequently? Blonde is really different, and dreams to uncover the truth. When she runs away on her own with the hope to find out more about her past and origins, she discovers a dark side in herself, an animal side. At the heart of her story lies a terrible secret. An unforgettable heroine, a breathless hunt, a desperate love story. An imaginative and original interpretation of Goldilocks and the Three Bears, that opens up on a wide mythology and makes the reader travel from the undergrounds of the Vatican to Nordic countries. What if the most magical tale was hiding the darkest conspiracy? This novel is like no other. Readers will be thrilled by Victor Dixen's gift as a storyteller. 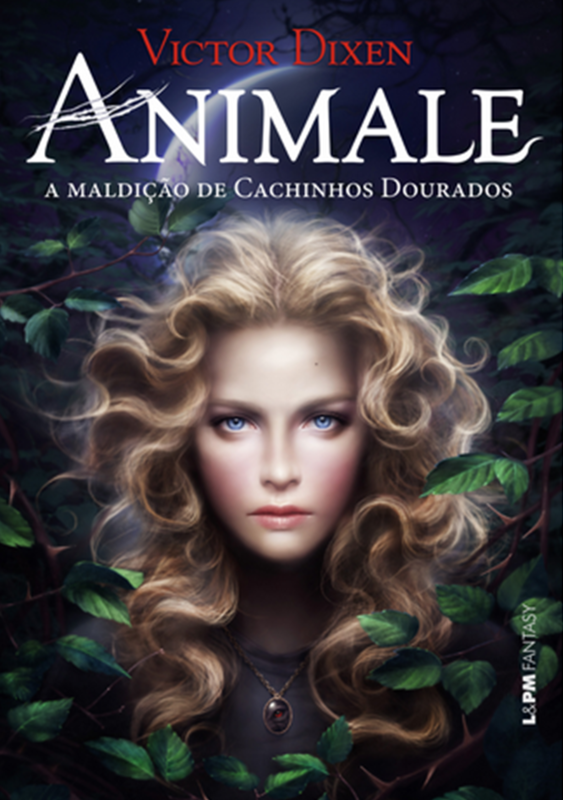 ANIMALE is a fantasy novel that manages to avoid the fantasy genre excesses. A book I definitely recommend to all the young and sensitive souls out there. 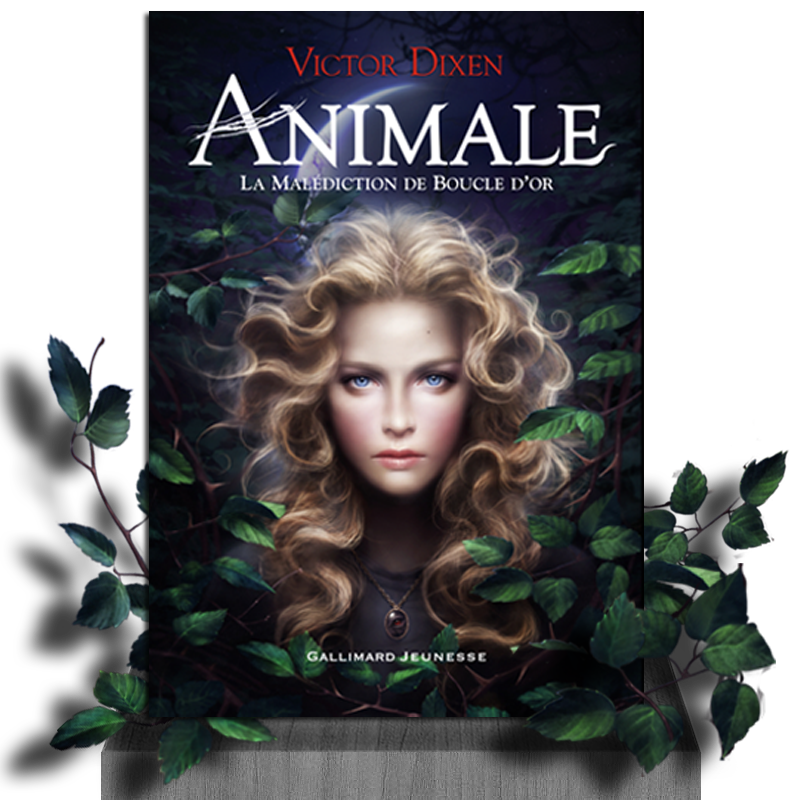 ANIMALE is a novel born from Victor Dixen's night dreams. In this book, the well-known Goldilocks tale turns into a breathtaking quest. Unexpected, mezmerizing and deliciously dangerous. Both a love story and an astouding retelling of Goldilocks tale, twisted by an ancient malediction. Intense suspense and quality writing combine in this quest that brings us to the limits of humanity. It's simply impossible to put the book down. The reader is holding his breath in this high speed chase, where Blonde will learn to know herself and to love. A very good coming-of-age novel, which links with the original tale are a pretext to explore a theme important for the author: what does it mean to be human? ANIMALE is a jubilant and thrilling read! It truly is many books in one: an adventure novel, a love story, a historical tale infused with fantasy and humor. Add to that an elegant style that perfectly fits in the historical context, a wonderful plotting, a strong evocation power, and you will end up with an addictive, brilliant novel! What if you didn't know everything about Goldilocks?... What if the truth was much tougher than the original tale?... Victor Dixen delivers an exciting new version of the classic tale, full of mystery, fear but also love. A magnificent retelling of Goldilocks and the Three Bears! Immerse yourself in this story about love and adventure. This is one of the most beautiful Young Adult novels this year !!! The pages turn themselves as the reader follows Gabrielle de Brances in the aftermath of Napoleonian Wars. There is nothing boring in this novel. An astoundishing retelling and a fabulous find. Unquestionably, this is THE Young Adult book you have to read this year. With Victor Dixen, the original tale becomes a wild race to find the truth and to survive. Suspense grabs you from page one and don't let you breathe, between all the suprises and reversals of fortune. One more success for Victor Dixen, a must-read with a striking style. A true delicacy. Magnificent! From the Sisters' convent to the remote lands in the Far North, through deep forests to the Vatican's secret archives, we experience an identity quest like no other. Dixen delivers an adventure novel, a timeless romance, a fabulous fantasy tale. During those 4 days I lived a superb reading experience! My relatives can testify: each and every day I kept telling them this book was excellent! This story is original, sophisticated, consistent, breathtaking... With each new chapter comes an unexpected discovery. ANIMALE, it is a magnificent malediction. A superb discovery! I have been amazed by the depth of Victor Dixen's novel. From the first pages, the reader is immerged in a very detailed world, dark and mysterious. You will never see the tale of Goldilocks in the same light! Victor Dixen takes you to a fascinating world in a truly exceptional way. He makes you live with Blonde, he makes you feel what she feels. I have been completly drawn into this story, almost from the very first pages. ANIMALE is a definite favorite. I really liked ANIMAL. The author's style is poetic and captivating, it makes you travel through time and space across Europe. The author's imagination really made a strong impression on me. A thrilling read with suspense and action in every single page. It is really difficult to put this book down once you have started. To summarize, this book is a huge â™¥ which definitely overshadows all the other good reads I had this year! The style is rich and yet fluid. The whole atmosphere mesmerized me. In a few paragraphs, the setting appears and Blonde takes the stage, sharing with us everything up her most intimate experiences. This tale is sometimes cruel, but always thrilling. This is a story with many facets, like a diamond. The author transformed the tale in a excellent romantic fantasy novel. Behind the curse, there are beautiful love stories! Blonde take us on her quest very naturally, as if we were running by her side. It is very easy to get into this story, to listen the author's voice, it is all very exciting! Blonde totally made it for me. She is always brave and full of surprises. It seems she was born to be the heroin of this heartbreaking story. Victor Dixen managed to renew the tale of the Three Bears magnificently. I found that the whole investigation and the story were really good. I had the impression I really shared Blonde's thoughts. This book is a real page-turner that makes us dream about the true story hidden behind the well-known tale. A very good book that I warmly recommend! I loved this book, which I could not put down. I started one night and finished by the next morning. The original soft tale has been transformed in a dark, thrilling story where the supernatural world meets the real world, where men show their true faces. ANIMALE is a novel not to be missed! This novel kept me awake during all night. The plot really triggers gut reactions, throwing you in 19th century France. Suspense, intrigue, and a touch of magic will thrill any reader. I totally loved this book, it is one of my favourites: an incredibly fine novel, with rich and endearing characters! This adaptation really won me over! I totally loved how Victor Dixen revisited the well-known tale, offering us a much darker and surprising version. This book manages to be magnificent and frigthtening at the same time, a very interesting contrast. This novel begins with a flying start and keep us breathless until the very end. I really loved the whole universe in ANIMALE, with its background full of terrifying secrets. Victor Dixen's imagination appears to be limitless in this totally addictive book, up to the perfect ending. Once you have started, it becomes a real addiction. It is impossible to put the book down, chapters fly and you tell yourself : "one more!" This book is packed with magic, adventure, travels, encounters and revelations. I admit I feared for Blonde so many times, until the superb ending that I just loved as the entire book. ANIMALE has been a fabulous surprise. It is like an exquisite candy, a wonderful present... Since the first pages pages, I fell in love with Victor Dixen's writing. I found his style very mature and elegant, and I was enchanted by the quality of the plot, in a relevant historical context. I warmly, absolutely recommend this book. You won't be disappointed! This novel is magical, nothing less! Characters are fantastic. I absolutely loved Blonde, a strong-willed girl with a thirst for freedom and love. You don't imagine the scenes in this book: you live them! Romance, action, fascinating characters, magnificent settings, history mixed with imagination, fear... This is great art! More than a novel, an epic tale sublimated by an elegant and subtle writing. A very credible world, relying on a well-researched historical context. A wonderful reading experience, following the steps of a fascinating heroine.